There is simply no need for additional school places in the area. An extra school would create a further surplus of school places. That would be wasteful and extravagant, particularly at a time of public expenditure cuts undermining existing provision for other local students. Our school and the other existing secondary schools in the area already have more than enough capacity for all students from Saxmundham. This poster seems to be unable to appreciate that her "gain" might be someone in Leiston's "loss" and the "Ebacc" was not even dreamed up when last year's student chose their GCSE options. At Lesiton only 19% of children took all of the EBacc subjects which might explain an 8% pass rate. Again we are seeing a tendency for a divisive even in this case a "beggar thy neighbour" approach where some people just don't seem to care about the impact of a decision on others so long as they do well from it. Simon Eyre one of the "unofficial" parents group members is, I think, mistaken as the money to pay the Principal is coming from all of the schools revenue budgets as I understand it. 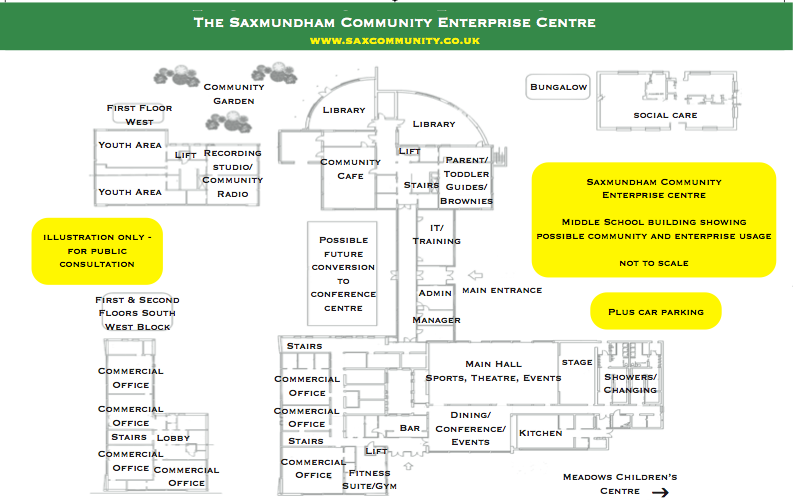 So to start with Saxmundham will pay at least half and that is only if Beccles goes ahead. Ford seems to imply that loss making Seckford will pay for the Principal from its own funds. The application pack makes it clear the posts are conditional on the DfE signing the funding agreements for the schools. It would seem to be this paying for the senior staff. 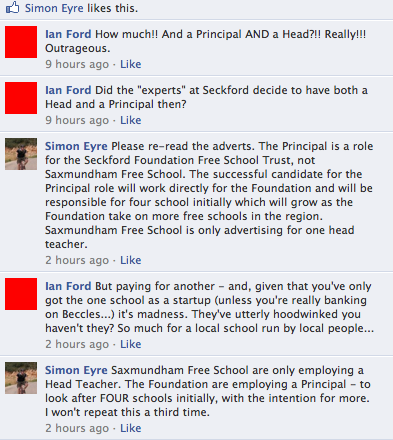 When I pressed this point in discussion on the Facebook Group Simon Eyre deleted one of my posts and then told me to ask Seckford. He suggested it was inappropriate to discuss the funding of the school in public despite the fact that this is a publically funded school! I sent this letter that you can see on Wikisuffolk and within a few hours the Facebook group was removed completely! 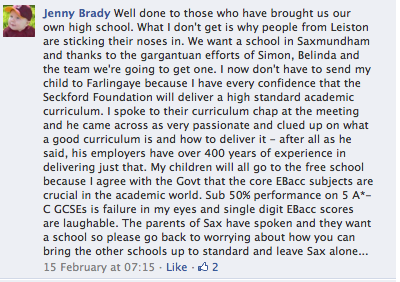 This kind of closing down of all debate seems to be typical across all of the free school parent groups. They do not appear to think they need to engage with the wider community and have any concept that they are accountable to anyone. There is one difference to Beccles here. 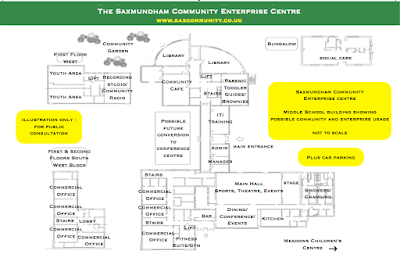 Like Ixworth and Stoke by Nayland there is an active parent group but there appears to be a lack of any co-ordinated opposition in Saxmundham unlike the other areas. Strong support in Ixworth from parents, majority in Stanton. Strongest support current middle school parents, less strong from current primary parents. Ixworth Middle School and its Headteacher and Governors.